Rabbi Aaron Bisno holds Pittsburgh’s Rodef Shalom Congregation’s historic Frances F. & David R. Levin Senior Rabbinic Pulpit; Rabbi has been with Rodef Shalom since 2004. 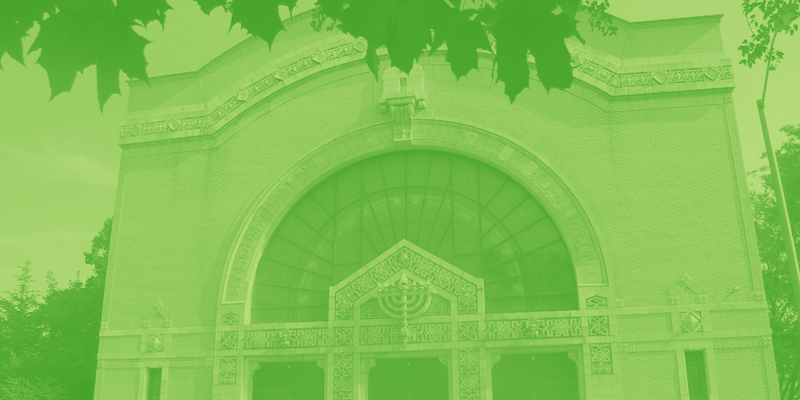 Rabbi Bisno is the ninth rabbi to lead Rodef Shalom since its founding in 1856. Since 2011, Rabbi Bisno has championed Courageous Conversations within the city of Pittsburgh & his ideas have catalyzed a new era of inter-congregational creativity and collaboration throughout the community. He is known nationally for this advocacy. Also in 2011, following Rabbi Bisno’s and Pittsburgh’s Catholic Bishop David Zubik’s leading a Jewish-Catholic Pilgrimage to Rome & Israel, Pope Benedict XVI conferred a Benemerenti Medal upon the rabbi for his "outstanding contributions to interfaith relations." Instituted by the Holy See in 1832, Benemerenti Medals are reserved for non-Catholics who have provided unique service to the Catholic Church. In 2017, Rabbi Bisno & Bishop Zubik led a second pilgrimage to Israel, this one for interfaith couples. Rabbi Bisno is a 2018 graduate of the Aspen Institute’s Executive Leadership Seminar; upon completion, he was asked to serve as the program’s first-ever clergy-nominator. In 2019, Rabbi Bisno joins the faculty of FASPE Seminary. Fellowships at Auschwitz for the Study of Professional Ethics (FASPE) Seminary is an intensive two-week study program in professional ethics and ethical leadership for seminarians of all religions. The program takes place in Berlin, Krakow and Oswiecim (the location of the former Nazi concentration camp of Auschwitz). In 2019, Rabbi Bisno joins the faculty of Chautauqua Institute. Rabbi Bisno will share in the historic interfaith program during a week dedicated to exploring The Life of the Spoken Word. Rabbi will teach a week-long seminar on The Power of Speech in Judaism. Prior to serving in Pittsburgh, Bisno was an Associate Rabbi of Congregation Rodeph Shalom in Philadelphia (1998-2004); he was the Executive Director of the University of Virginia’s Hillel Jewish Center, Charlottesville (1996-1998). Rabbi Bisno received an MA in Hebrew Letters, as well as Rabbinical Ordination from the Hebrew Union College-Jewish Institute of Religion, Cincinnati (‘95,’96). His BA in political science is from Washington University in St. Louis (‘90); MS in Organizational Dynamics from the University of Pennsylvania (‘04). Aaron is married to Michelle (nee Kaplan); the couple have two boys, Adam & Michael. Rabbi Sharyn H. Henry has been rabbi of the congregation since 2004. Her rabbinic focus is social action, inclusion, and worship. Rabbi Henry was presented with a Doctor of Divinity in 2013 by the Hebrew Union College for 25 years teaching “the faith, culture and ethics of Reform Judaism”. With Rodef Shalom since 1999, she first served as the Religious School Principal with that position evolving into Youth and Education Director. Prior to joining RSC, Rabbi Henry held the positions of Rabbi/Educator at Temple Ohav Shalom in Allison Park, PA and Assistant Rabbi at The Temple – Congregation B’nai Jedudah in Kansas City, MO, where she was the city’s only female rabbi. She received her Rabbinic Ordination (1988) from HUC-JIR with a Master’s in Hebrew Letters (MAHL, 1987). She earned her undergraduate degree, with honors, in Psychology (1980) at the University of Wisconsin – Madison. Rabbi Henry was recognized by Community Living and Support Services (CLASS) with a Humanitarian Award for her advocacy of equality and inclusion. Additionally, she is a member of the Community Day School Board of Trustees. Sharyn and her husband, Dennis Grinberg, have 2 sons, Avi and Asher. They make their home in Squirrel Hill. Dr. Rabbi Walter Jacob is Rodef Shalom's Rabbi Emeritus & Senior Scholar. Born into a rabbinic family that dates back some 400 years, Walter Jacob’s early years were lived under the foreboding shadow of mid-20th century Germany. His grandfather Benno Jacob was a Biblical scholar of great renown and his father Ernst was a district rabbi in Augsburg, Germany, where the Jewish community had deep roots. Following the events of Kristallnacht in 1938, the Jacob family fled to London and later immigrated to the United States. A precocious student, Walter earned a BA from Springfield’s Drury College in 1950 and enrolled at the Hebrew Union College-Jewish Institute of Religion (HUC-JIR) in Cincinnati, from which he was ordained in 1955. Significantly, Walter's rabbinic ordination made him the sixteenth-generation in his family to earn the title of rabbi. 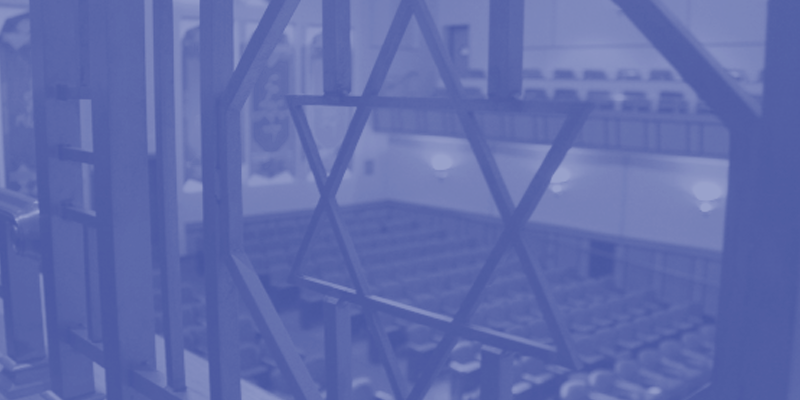 Following his studies, Rabbi Jacob assumed a temporary position under the guidance of Dr. Solomon B. Freehof, the senior rabbi of Rodef Shalom Congregation in Pittsburgh. After a two-year hiatus, during which he served as a US Air Force chaplain in the Philippines, he returned to the congregation permanently. After earning a Doctor of Hebrew Letters from HUC-JIR, Dr. Jacob succeeded Solomon Freehof as Rodef Shalom’s senior rabbi. He held this position until his retirement in 1996, whereupon he was named Rodef Shalom’s Rabbi Emeritus and Senior Scholar. In a career now spanning seven decades, Dr. Jacob has not only served this congregation, but has advocated on behalf of the oppressed, minorities and the disabled; addressed local, national and international concerns; and engaged in the on-the-ground work of improving interfaith relations and our world one person at a time. In his 60+ years as a pulpit rabbi, Dr. Jacob combined significant scholarship with a generous and empathic spirit. Dr. Jacob wrote more than 1,300 articles, reviews, and essays and is the author or editor of more than 45 books. He spent decades translating the Torah commentaries of his grandfather Benno Jacob, whose significant work was obscured by the chaos of World War II. Locally, he taught at the Pittsburgh Theological Seminary, the University of Pittsburgh, and Chatham University. In 1989, he founded the Freehof Institute for Progressive Halakah, which publishes an annual volume of essays on Jewish law. A recognized leader in Reform Judaism, Dr. Jacob served as president of the Central Conference of American Rabbis (CCAR) and vice-president of the World Union for Progressive Judaism (WUPJ), and chaired the CCAR's Responsa Committee as well as the International Responsa Committee of the WUPJ. In his eighties, Dr. Jacob returned to the country of his birth to establish the Abraham Geiger College, the first rabbinical seminary in the heart of Europe post-Holocaust. For reestablishing rabbinic education and thereby encouraging the vitality of Jewish life in Europe, in 1999 Dr. Jacob was made a Knight Commander of the Federal Republic of Germany, and was portrayed on an Austrian postage stamp. In 2005, he received from His Holiness Pope John Paul II the papal rank of Commander of the Equestrian Order of St Gregory the Great.